eGenuity invented award winning technology that allows you to share your data using two completely different technologies. 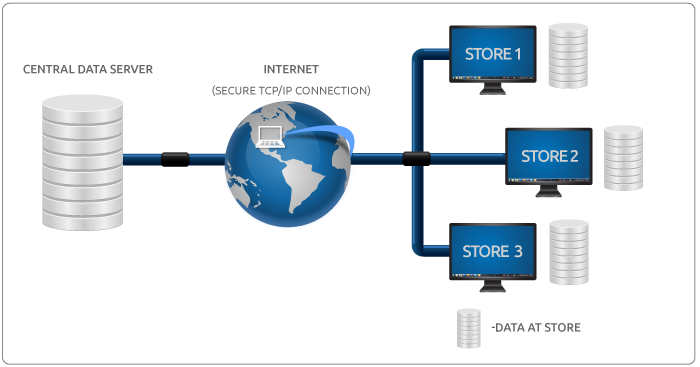 If you want, you can centralize the data and connect to a large, single data store over the INTERNET. Many of our large chains use this model. All chains are real time or have a database at each store and replicate the data as rapidly as EVERY MINUTE to a central data store and all your locations. No matter how you choose, rest assured, your data is safe and always available. eGenuity make sure of that! -You configure everything from the Central Office. -We describe how it works and you choose the method that you prefer. -Transparently connect to any store at any time. -Very robust reporting of the consolidated data. 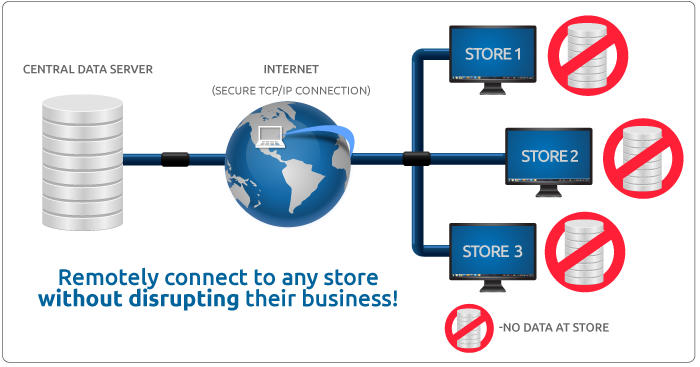 -Use a single server at your location for all your stores. -Set your data to replicate and copy every minute if you wish. -Choose which stores you want inventory at. -Separate pricing by region, district, and store. Hide vendors at different locations. -WE DO NOT USE OLD EMAILING METHODS FOR TRANSFERRING DATA! -WE DO NOT HOUSE YOUR DATA AT OUR LOCATION. It is YOUR data!